Data collection is a big deal at American Express, which in May received Event Marketer’s prestigious Grand Ex Award for its US Open Tennis sponsorship activation (and earned the distinction of being the only recipient, along with agency of record Momentum Worldwide, to win the Grand Ex twice). The company also is a champion when it comes to delivering fan experiences that engage cardmembers and captivate potential new ones as well. In 2015, that award-winning US Open fan experience focused on service and loyalty building rather than lead acquisition and data collection. 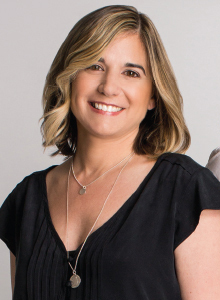 As Deborah B. Curtis, vp-global experiential marketing and partnerships at American Express, puts it, it was all about the fan experience, not collecting emails and other contact information. Here we dig a little deeper into the strategy behind that decision, and how it led to an immersive experience at the Tennis Center and beyond. Deb Curtis: Data plays a critical role for American Express in helping to inform us in terms of making our experiences better. We use data from the perspective of building insights and creating activations and experiences that elevate the fan experience based on what we know about our customers. Data also informs the partnerships we enter, and certainly the USTA and the US Open is a great example of our cardmembers being there and absolutely loving the event for so many years. EM: How do you go about collecting data? DC: We are incredibly disciplined about data collection and take our relationship with our cardmembers and fans very seriously. In 2014, for example, our fan experience at US Open Tennis used RFID technology, and in that case we did ask for information, but in service of elevating the experience. So, when we do use or ask for data, oftentimes it is because it is really connected to how we deliver an enhanced experience and service moments. We always give prospective cardmembers the opt-in to be able to receive more information from us. 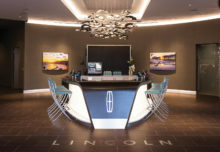 It is really important for them to feel that we are not pushing messaging but rather they are opting in to learn more about the world of American Express. EM: Speaking of the US Open, in 2015, you decided not to collect data, but to focus on service and loyalty building rather than lead acquisition. Can you explain that? DC: That’s because the objective was to create a truly immersive experience for the fans and to demonstrate our innovation and leadership in delivering an elevated experience. Data collection really depends on both what our objective is and the delivery of the idea that we are executing within the experience. EM: Would data collection have detracted from the immersive experience you were going for? DC: In that particular case, we didn’t really see the value-add from a fan experience perspective. At the end of the day, for us, it is all about the fan experience. Certainly we want to continue that dialogue with prospective customers to continue to provide compelling reasons for why membership can be meaningful to them, but we didn’t see it as being highly relevant in that particular case. EM: So, in terms of metrics, how did you determine the success of the US Open activation? 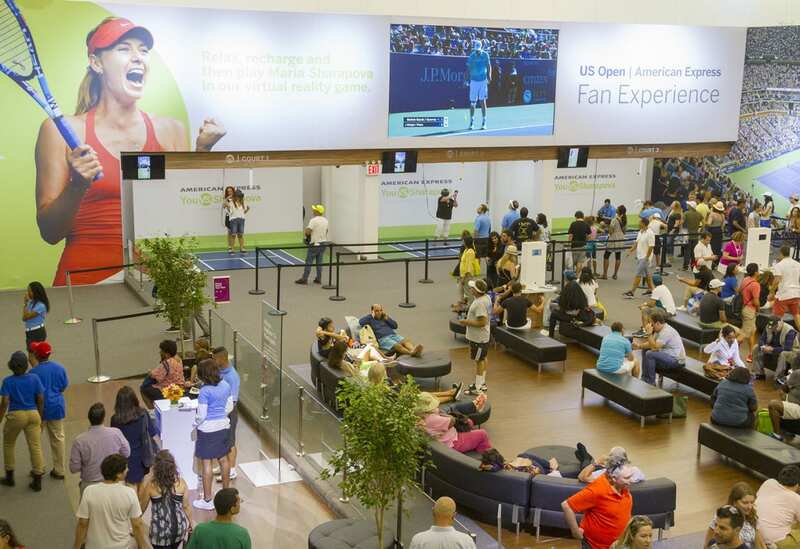 DC: We did post-event surveys and what we learned both from the USTA as well as from our own surveys is how much the fans value what our fan experience brings to their overall US Open experience. Certainly we had a measurable and positive impact in fan perceptions of American Express and the value that we bring to their experience, and that was among both our cardmembers as well as prospective cardmembers. It’s knowing what our fans love, and the use of insights and data is core to our strategy but we do so in a way that always turns back to real value and elevated experiences.